September 1 was the opening of dove season in Tennessee and my new hunting buddy Belle got to go on her first hunt. We have been working hard over the last eight weeks to get her ready and the training really paid off. 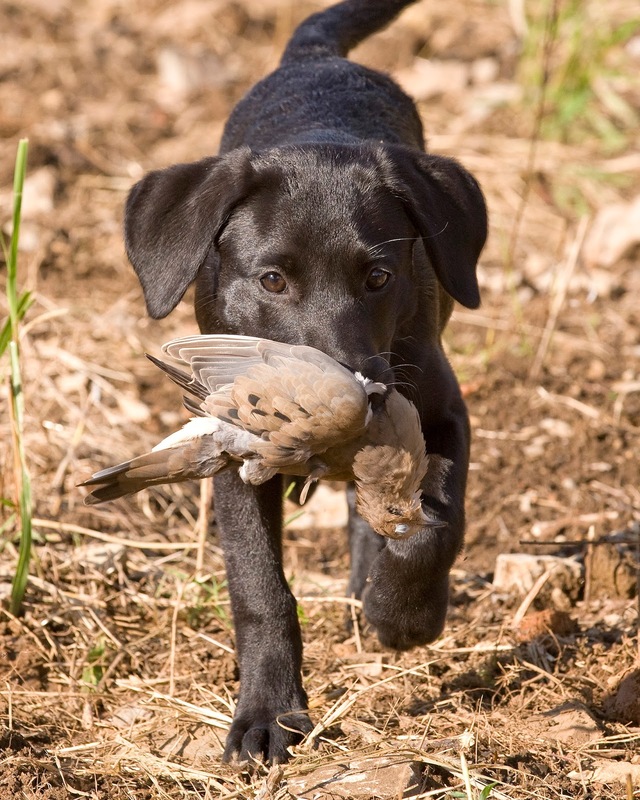 She made lots of blind and marked retrieves and delivered every bird gently to hand. Not bad for a 15 week old pup! Now, if I could only knock 'em down as well as she fetches 'em up... Guess I better get some shooting lessons or she will be wanting to check MY pedigree. good to see you back online. I've read all your stuff and it's not hunting season until you've got new articles up online. Good luck this year. Just wanted to say THANKS for your Summit Viper series on YouTube. I used a climber for the first time last week and used it twice with no luck and no confidence. Not very safely either. I shot a nice symmetrical 10 point buck on public land with my climber today. I picked a tree on the way into my hunting spot. I was in the stand (quietly) for only 10 minutes before he for came in with nose on the ground at 15 yards behind the tree. Sure, it is RUT here in PA and I even saw a BIGGER 8 point while retrieving my arrow, but I would have never gotten him with the confidence I got from watching your videos. News Videographer / Meteorologist / Fellow Whitetail addict with ADD and New Climbing stand user. IT's very interesting blog and much important detail about the Hunting Gear,well done.